INDIANAPOLIS — All Things Automotive recently announced its debut as a franchise opportunity for dealers to sell certified vehicles and offer service and parts. This new offering is particularly geared for former Saturn dealers. Essentially, these stores can become one-stop shops for sales, service and parts. "This franchise combines the sale of certified vehicles with aftermarket-competitive services and parts, tires, brakes, oil and accessories that deliver customer affordability, convenience and satisfaction," stated Larry Cummings, a former General Motors dealer and the founder and principal for All Things Automotive. "In my 22 years as a dealer, I was known as the place to buy and have warranty work done, but with my large dealership, I wasn't even close to competitive in the core services of the aftermarket," Cummings shared. 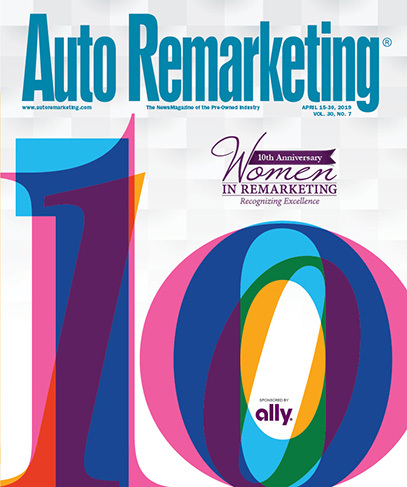 "By including retailing leaders and key partners of the aftermarket in this new franchise, All Things Automotive-branded businesses are uniquely competitive for the customer — from the purchase of their vehicle through ongoing maintenance and the full range of services required during the ownership experience," he shared. Lynn Kimmel, president of Lockhart Automotive Group in Indianapolis, and Mark Thomas, president of the five-store Thomas Dealerships organization, are the dealers currently developing the All Things Automotive-branded retail concept. "I am so excited to be building a new brand utilizing my existing Saturn of Fishers store and my Saturn values," stated Kimmel, who sits on the GM National Dealer's Council. "The All Things Automotive brand concept builds on the value of the Saturn experience and provides the opportunity for a more competitive and profitable future in our dealership-based environment." Thomas, who is converting an empty Ford image store, added: "That is a real enabler for the used-car business. We're reaching out to a broader base of customers who trust these brands for quality and affordability and as such we're maximizing our fixed coverage through service and parts sales which then free us to be as competitive as needed in the used-car market." —A partnership with CARQUEST, which will provide All Things Automotive-branded retail facilities with parts and accessories. —Partnerships with other branded aftermarket providers to meet drivers' core vehicle service and maintenance needs at a one-stop shop with competitive aftermarket prices. —The company said it will offer labor and service rates that competitive with most aftermarket and independent service centers. It said it is able to achieve this because the branded franchises won't do any new-car warranty work nor will they perform "other time-burning nonproductive activities which must be made up by higher labor rates." "This franchise incorporates all of the key processes and partners to earn an increasing percentage of late-model vehicle sales and the service, parts and accessory business of the large and growing aftermarket service industry," Cummings concluded.